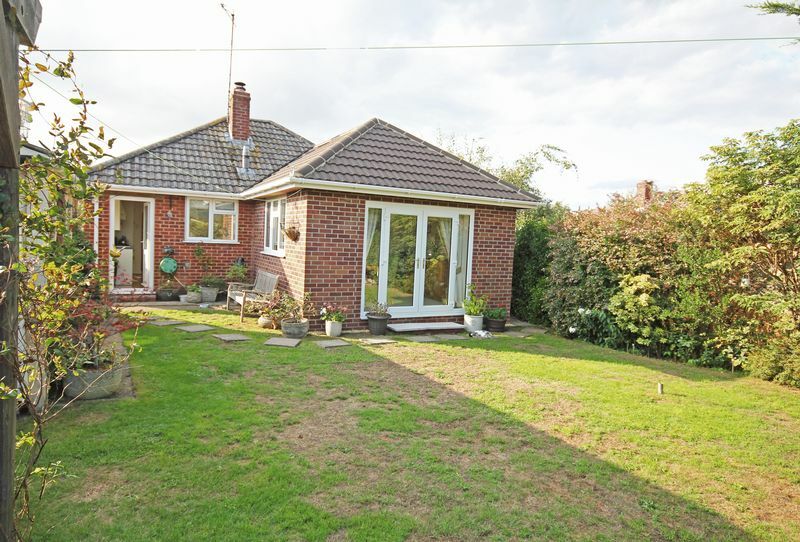 An attractive, extended and well-presented detached bungalow on the outskirts of the village. NO FORWARD CHAIN. EPC band D.
Outgoings: Council tax band D: Amount payable 2018/19: £1335.54 Services: Mains water, electricity, gas and drainage. Telephone connected (transfer subject to usual regulations). 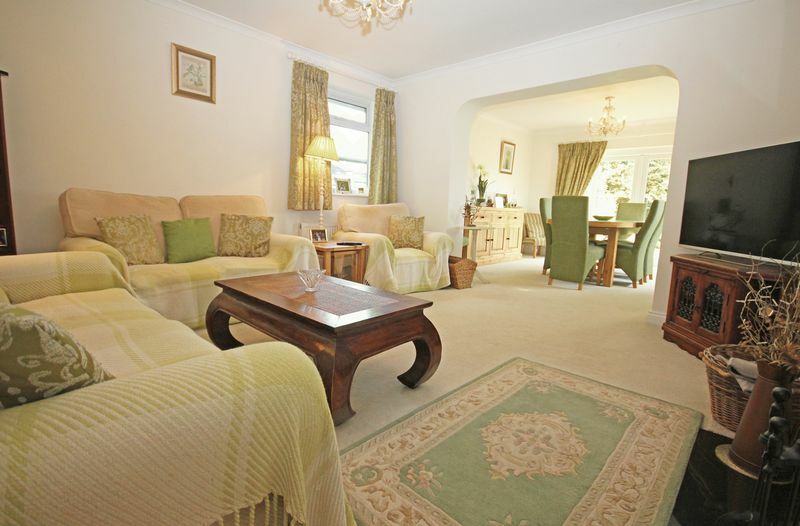 Location: The property is located in a quiet position on the outskirts of the village. See location map on page 4. The popular & historic community of Downton benefits from a number of local shops including specialist Baker & Butcher & Pharmacist. There are Doctors & Dental practices, Junior School & the Trafalgar Secondary School together with St Lawrence Parish Church, a Roman Catholic, Congregational Church & Public Library. Downton is noted for it`s annual Cuckoo Fair which takes place each Spring Bank holiday. The Cuckoo Fair draws huge crowds and is said to date from the 13th century. 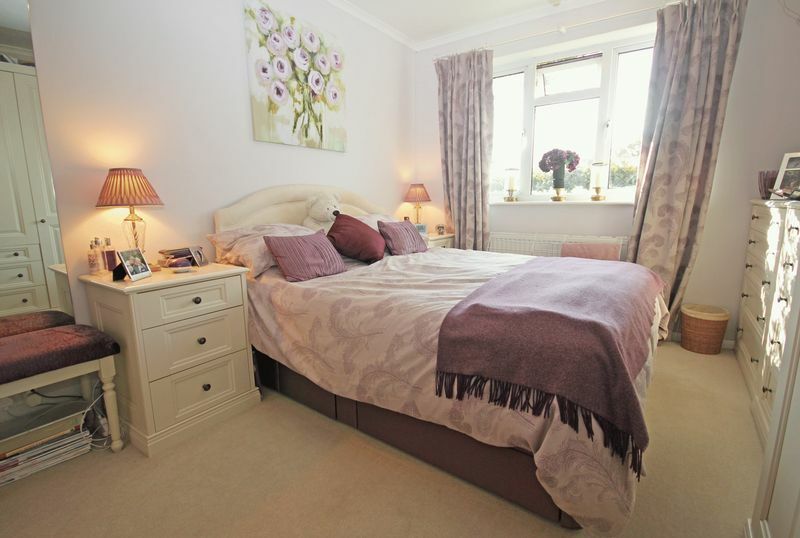 The village is well located for access to a number of important centres with Salisbury some 7 miles to the north, Fordingbridge & Ringwood & Bournemouth , 6,12 & 23 miles respectively to the south. The M27 can be reached via the B3080 & Cadnam, some 9 miles distant with Southampton approximately 17 miles. 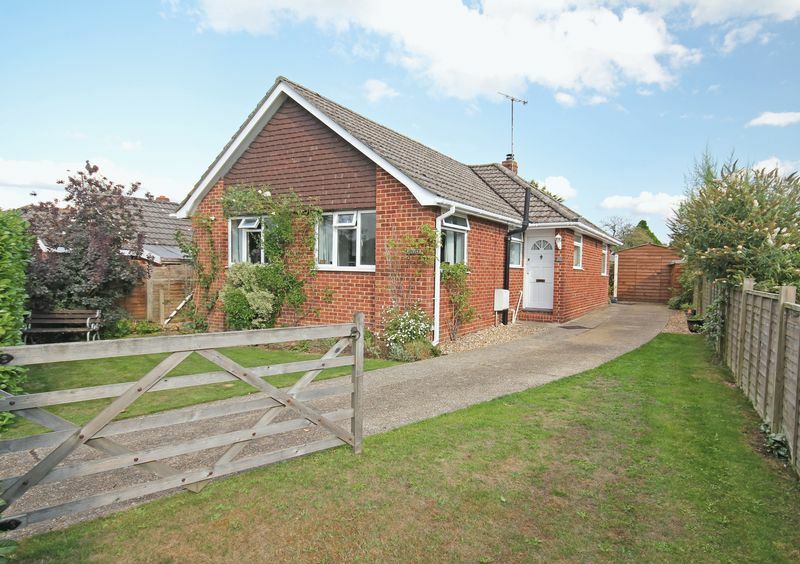 A modern bungalow which has been extended and improved and now offers well-presented, well-arranged accommodation The property benefits from Upvc double glazing and gas fired central heating. 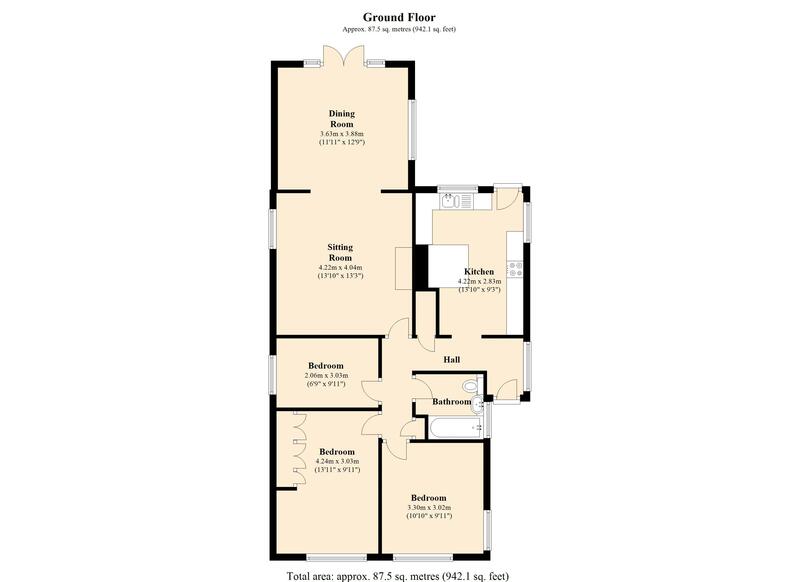 Accommodation: Timber entrance door to: L shaped hall: Radiator. Deep storage cupboard. Broom cupboard. Oak effect flooring. 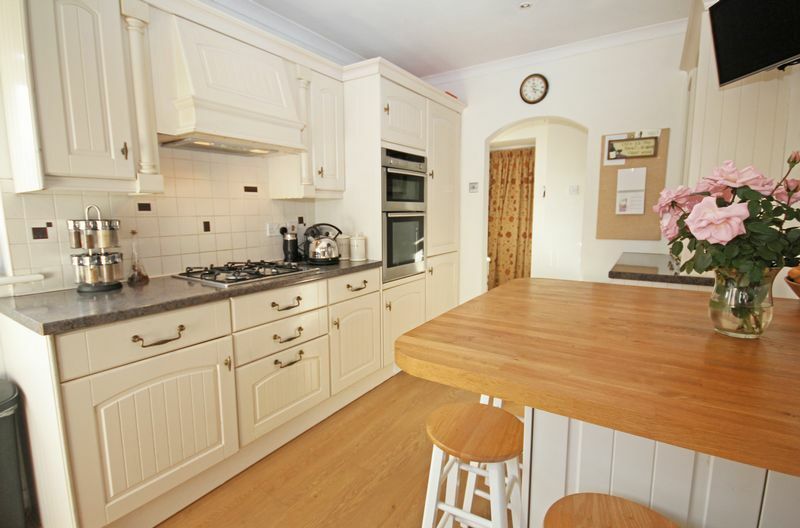 Kitchen/breakfast room: Well fitted with a range of base cupboards, drawers and wall units in a cream finish with laminated work surfaces and a polycarbonate sink. 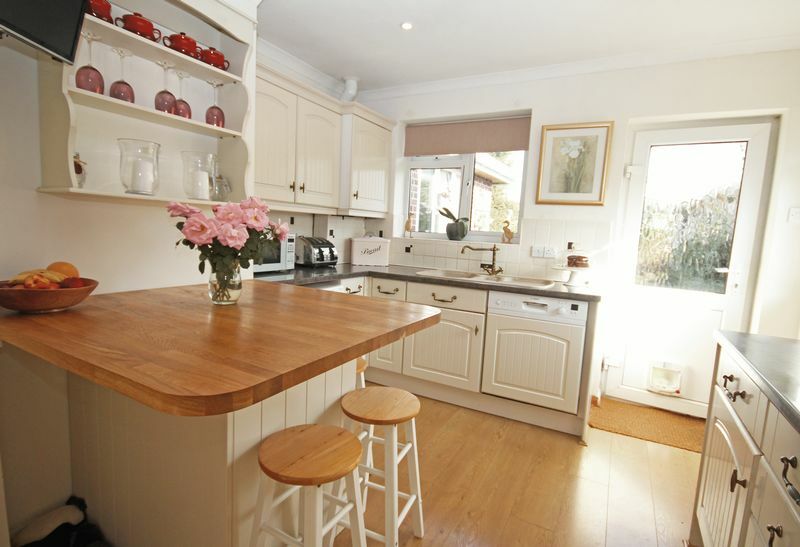 A peninsular breakfast bar with oak work surface. 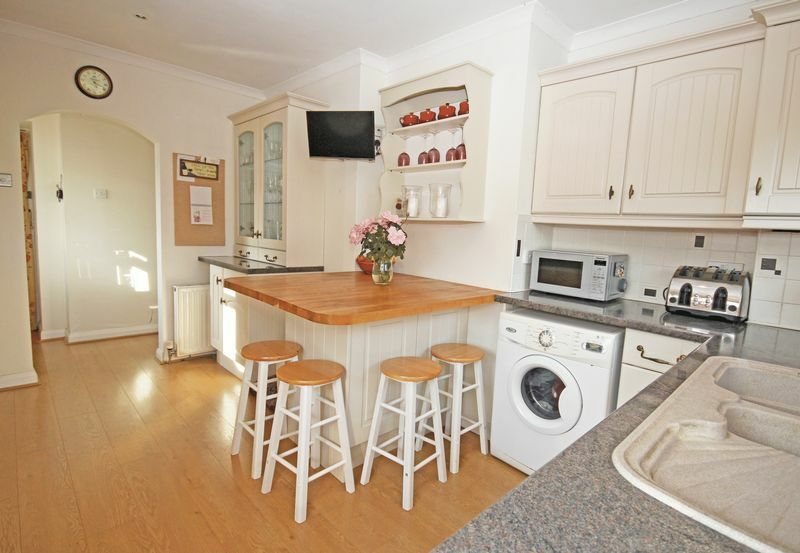 Integrated fridge, dishwasher and double electric oven. 4 burner gas hob with extractor over. Space and plumbing for washing machine. 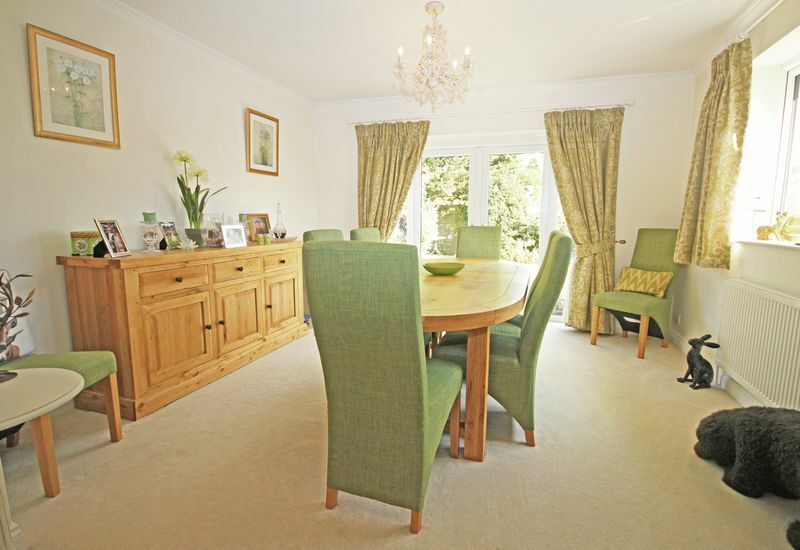 Oak effect flooring. Door to garden. Sitting Room: Radiator. 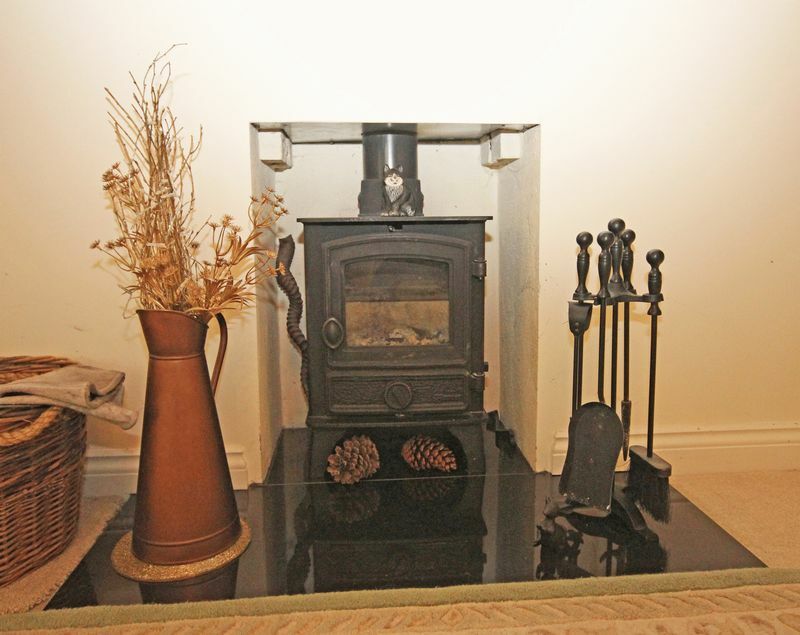 Wood-burning stove sitting on granite hearth. 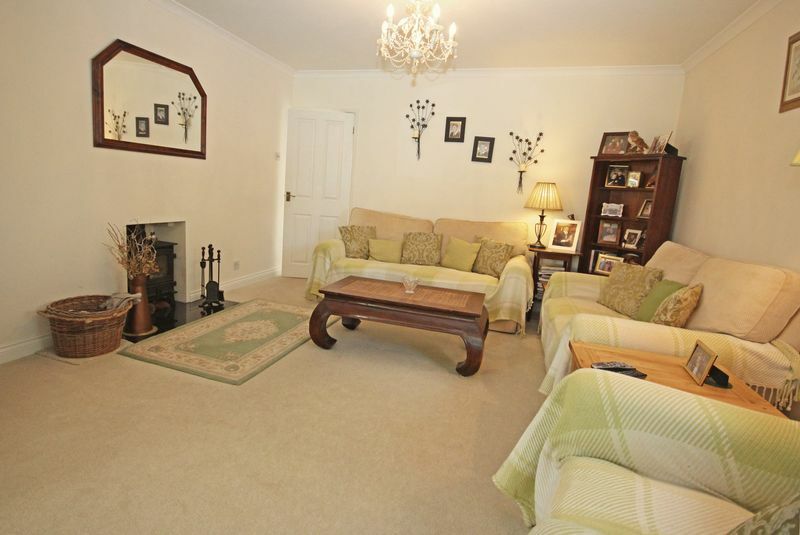 Open to: Dining Room: Radiator. French doors to garden. 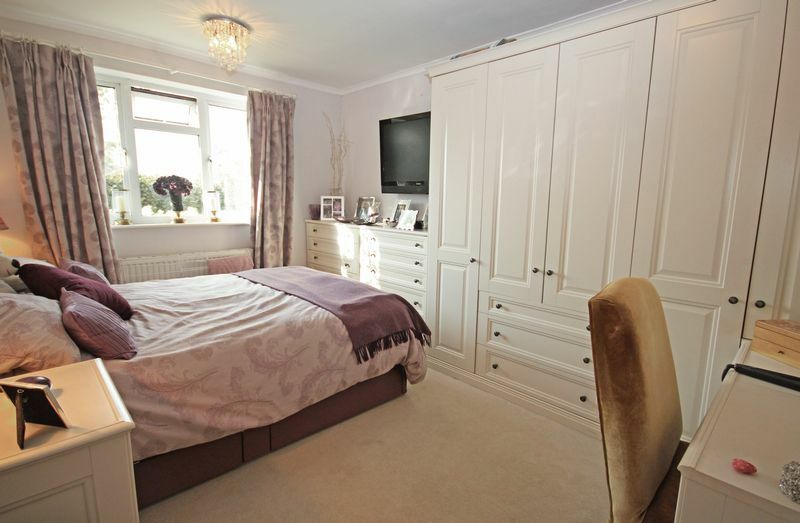 Bedroom 1: Fitted with wardrobes, drawers and dressing table. Radiator. 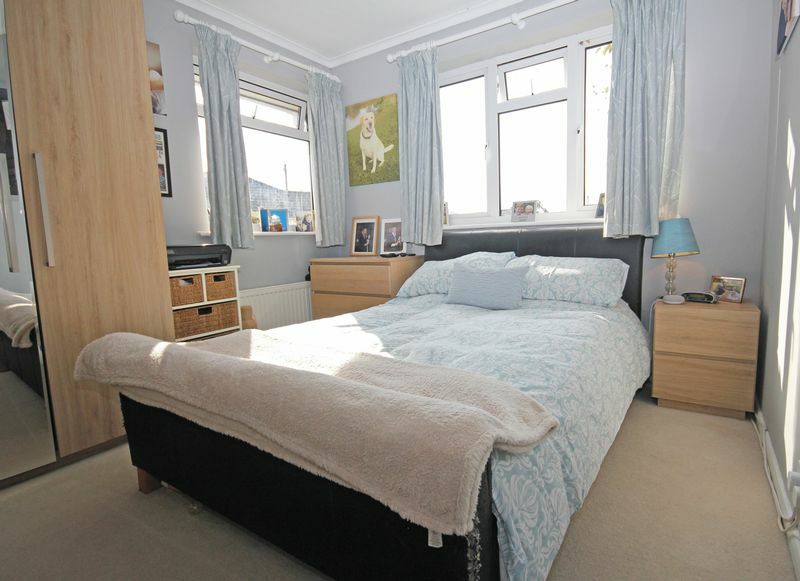 Bedroom 2: Radiator. 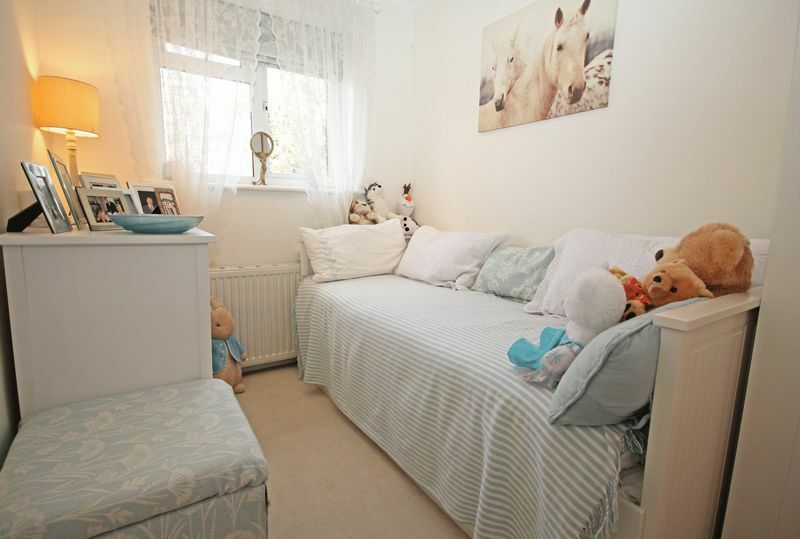 Bedroom 3: Radiator. 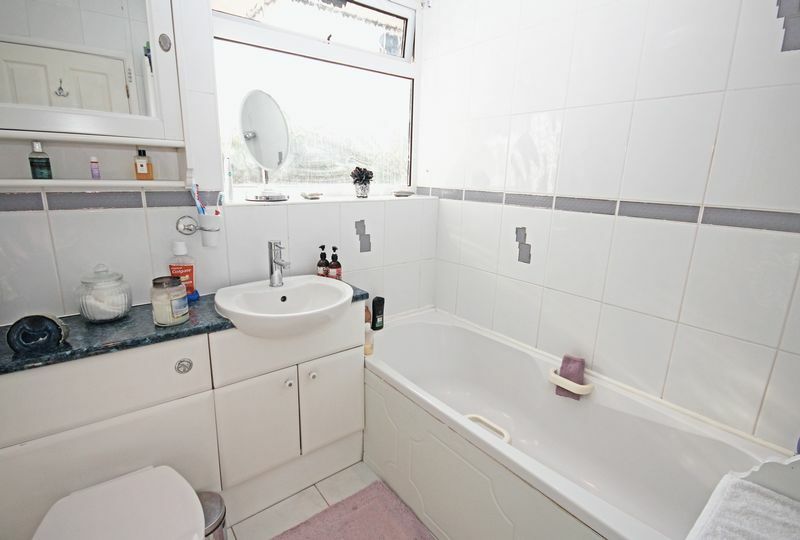 Bathroom: Fully tiled and fitted with a panelled bath with shower over. Vanity unit with washbasin and WC. Ladder style towel rail. 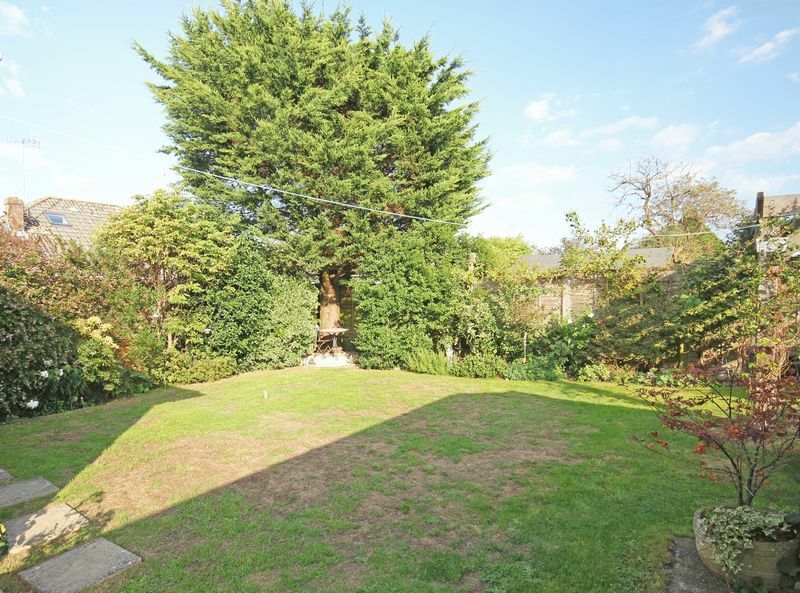 Outside: The property is approached from Moot Gardens over a concrete driveway which provides parking for several vehicles. 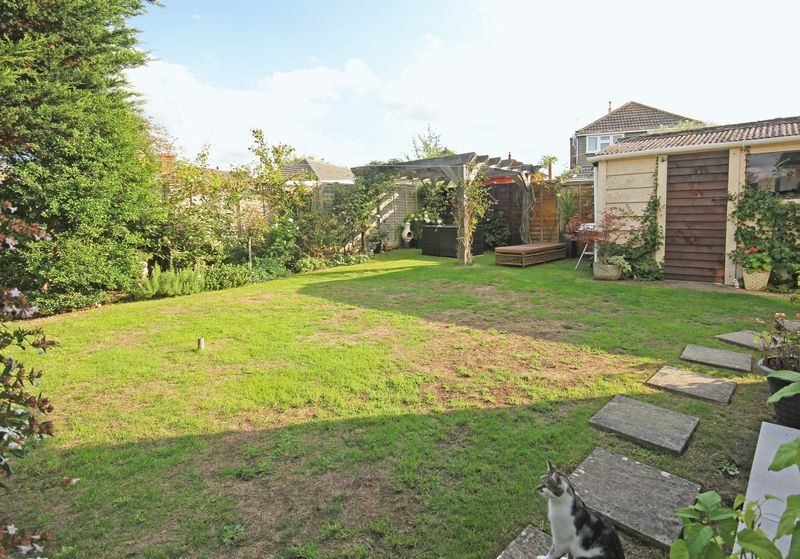 The front garden is laid mainly to lawn with an established hedge to the front boundary. 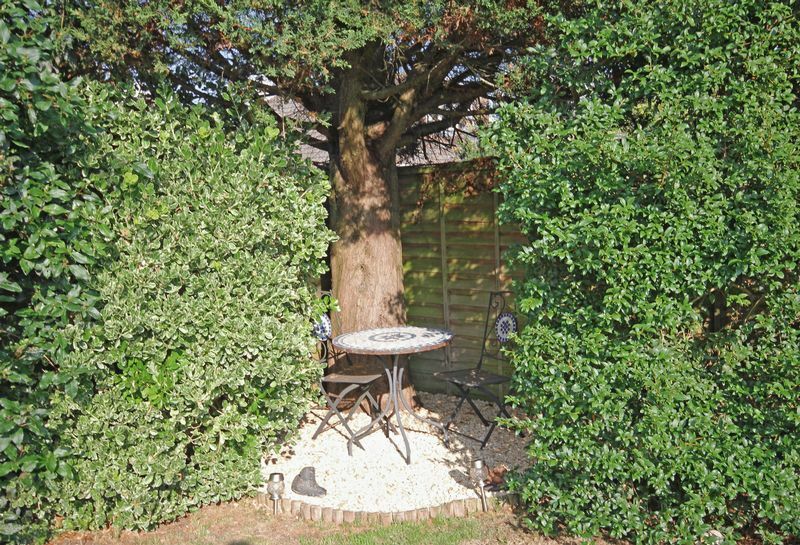 The private rear garden is lawned with mature planting and 3 useful storage sheds.